My sister: "I feel like baking something." Me: "You can't do that! We'll get fat!" Me: "Why did you have to mention baking? Now I'm hungry..."
Yeah, that's what conversations between me and my sister sound like. The outcome: scones of which I ate way to many. I don't know why I always thought that scones must be the most boring pastry ever because in fact they are the fluffiest pastry ever! ("It's so fluffy I'm gonna die!"). The recipe is from my friend Anne's first book "Anne's Kitchen". Only a few days ago she released her second cookbook which features recipes she discovered on her travels to Barcelona, Berlin, and Istanbul. If you want to buy the book and get it signed I highly recommend coming to the "Walfer Bicherdeeg" on the 15th or 16th November. Oh and head this way for the scones recipe. P.S. 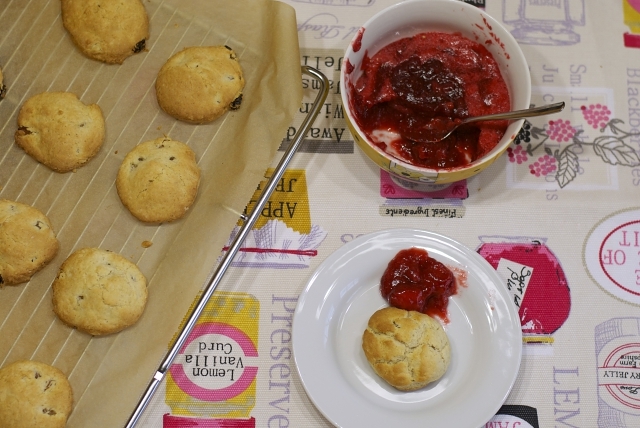 : Discover a video of the scones in the making on my Instagram. Nam! 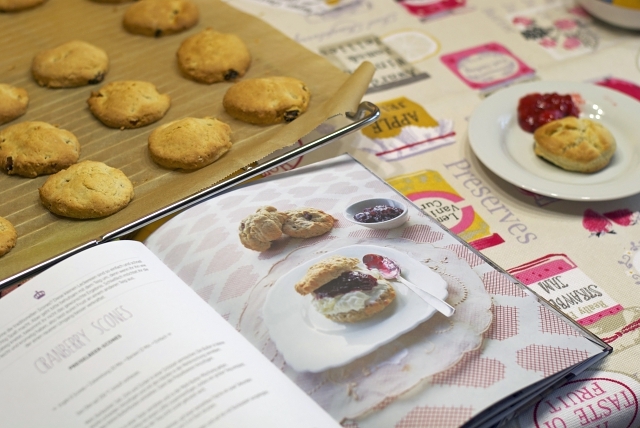 Im now craving them... these scones look delicious! 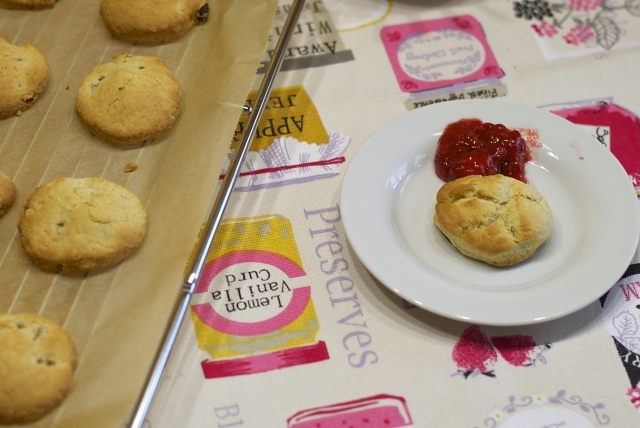 I am a HUGE fan of scones, and the best are always homemade Thanks for the lesson!! now I'm hungry! they look so good! These scones look so delicious. Well done Carmen. And who cares if you gain a bit of weight? Life's too short not to eat/make delicious pastries. 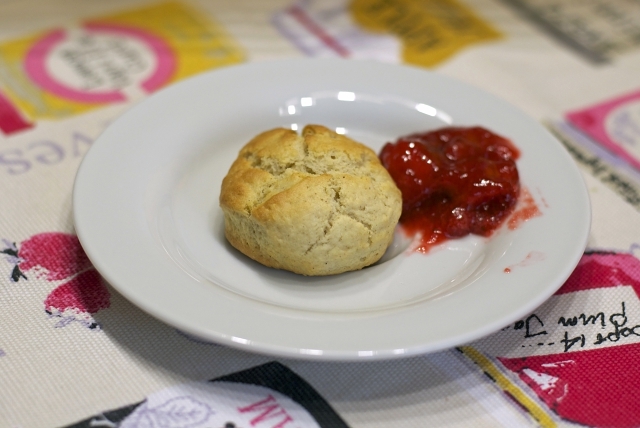 Especially scones like this! So cool that you baked your own scones! Love them, especially when served with clotted cream. Yum. Hm, das sieht so lecker aus!